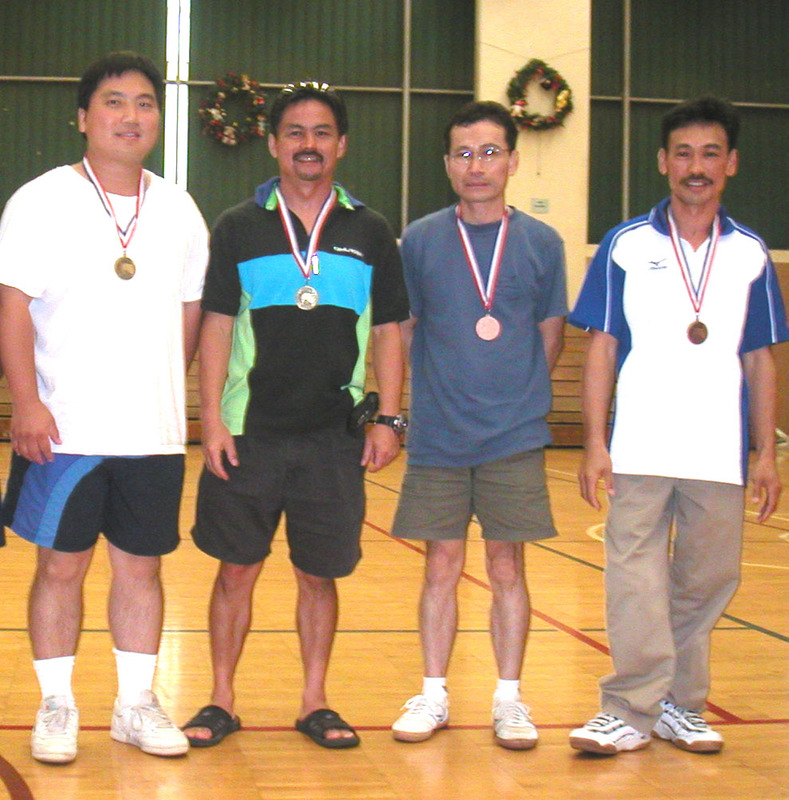 The Hawaii State Table Tennis Championships was held in conjuction with the Aloha State Games. The tournament was held at the Palama Settlement Gym on July 14th, and 15th 2007. Click here for tournament results. In the Rated Events, Unrated participants cannot advance to the medal rounds. 1. Last years gold medalist in the "C", "D", and "Novice" Singles may not participate in those same Singles again this year. They will be however, be eligible to play in those same events next year. 2. Threshold Rule: Any player who get a HTTC rating of at least 1600, 1400, and 1200 will not fall below those ratings again. Only participants over the age of 60 may fall below 1600. 3. For the Under 2500 Doubles, both doubles player must be below 1400.